Russia is preparing to send a "humanitarian convoy" to Donbas. The deputy head of the Supreme Council of the All-Russian public organization Russian Union of Rescuers Sergei Shchetinin stated that the convoy is supposed to carry children's New Year gifts. “Together with the Ministry of Emergency Situations and most likely a separate one from the Committee of the Federation Council. We annually do this, the next convoy will be included in the column of the Ministry of Emergencies,” he said after the meeting of the committee "Public support of residents of southeast Ukraine" in the Council of Federation of the RF. According to Shchetinin, totally the humanitarian convoy will include 3.5 thousand gifts. As is known, Russia delivers "humanitarian aid" to the Donbas with a violation of international norms. The Ukrainian side and the world community believe that in this way the Kremlin delivers weapons and other assistance to militants. 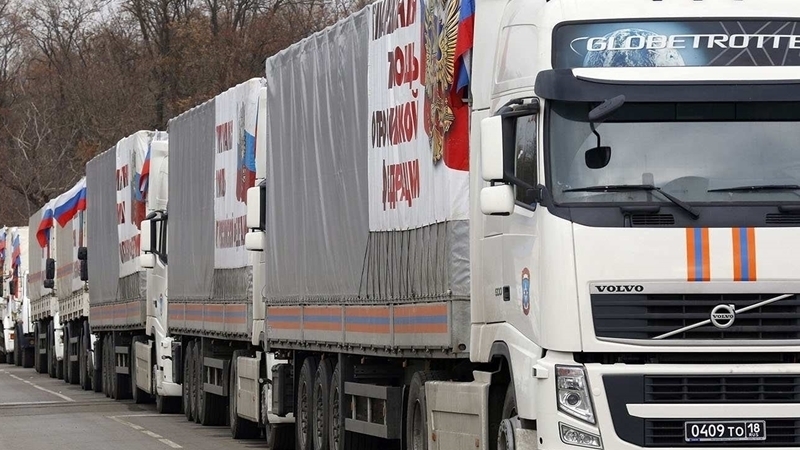 Earlier, the 71st column of the Ministry of Emergencies of Russia left for the Donbas with “humanitarian assistance”. Allegedly the convoy carries more than 500 tons of goods, including "baby food kits, medicines, medical supplies and gifts for children." Military equipment convoy spotted in "LPR"